Earlier this year, the Pet Poison Helpline released the top 10 household items that caused pet guardians to call for poison consultations during 2013. According to the Helpline’s Associate Director Ahna Brutlag, DVM, the list of cat toxins didn’t change from last year, but a new item made it to the top 10 list for dogs: canine joint supplements. These supplements have “limited toxicity” according to Dr. Brutlag, but a few cases of liver failure following a massive overdose have been reported. If you know or suspect your pet has ingested or been exposed to a toxic substance, call your veterinarian, a nearby emergency animal hospital, and/or the 24/7 Pet Poison Helpline at 800-213-6680. You can also download their Pet Poison Help iPhone app here. 1. Chocolate Chocolate contains theobromine and caffeine, which are both classified as methylxanthines. 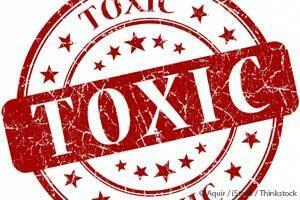 These compounds can cause hyperactivity, increased heart rate, tremors, and potentially death. The more bitter the chocolate, the more toxic it is. Bakers and dark chocolate are the most toxic, and milk chocolate can be dangerous if ingested in large amounts. 2. Xylitol Xylitol, a sugar substitute common in sugar-free chewing gum and many other products, can cause life-threatening hypoglycemia and liver damage in dogs. 3. NSAIDs Non-steroidal anti-inflammatory drugs like Advil, Motrin and Aleve, can cause GI ulcers and kidney failure.
. Many of these preparations contain acetaminophen (a painkiller) and pseudoephedrine or phenylephrine (decongestants) and are highly toxic. 5. Rodenticides Rat and mouse poison can contain inactive ingredients that are attractive to dogs. 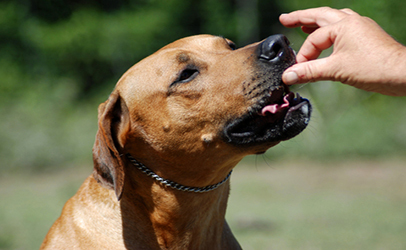 Aside from eating the poison itself, dogs can also become sick from eating a rodent that has ingested poison. Exposure to rat and mouse poison can cause bleeding, seizures and kidney damage. 6. Grapes and raisins These foods, even in small amounts, can cause kidney failure in dogs.
. The danger here is primarily bowel obstruction when a dog swallows the plastic shell that contains the bait.
. These drugs are amphetamines that can cause tremors, heart problems, seizures and death in pets.
. These supplements are often flavored to appeal to dogs. Overdoses usually produce nothing more dangerous than diarrhea, but in rare cases, liver failure can result. 10. Oxygen absorbers and silica gel packs Oxygen absorbers are found in packages of pet treats, beef jerky, and other consumables, and they contain iron that can cause iron poisoning in dogs. Silica gel packs are the small white packs found in new shoes, purses and backpacks. According to a May 16 investigation update from the U.S. Food and Drug Administration (FDA), more than 1,000 dogs have died and thousands of complaints have surfaced since 2007 about illnesses in dogs and some cats potentially linked to Chinese pet treats. While FDA has stated that the deaths and illnesses may be associated with the consumption of pet jerky treats (typically chicken) from China, the agency still has not pinpointed a specific cause despite ongoing tests for numerous potential contaminants. This past week, two of the nation’s largest pet retailers — Petco Animal Supplies Inc., and PetSmart Inc. — announced that they will stop selling dog and cat treats made in China. San Diego, CA-based Petco indicated that it plans to have all Chinese-made pet treats off the shelves of its 1,300 stores by the end of this year. “We’ve been following the FDA warnings and related customer concerns closely, and we’ve been actively reducing our China-made assortment and expanding our American-made offerings for several years now,” said Petco CEO Jim Myers. About half of the jerky treats currently sold at Petco stores nationwide are from China. The company will now transition to carrying treats made in the U.S., New Zealand, Australia and South America, Myers said. PetSmart, based in Phoenix, AZ, announced plans to remove China-sourced treats from its outlets by next spring. “By March 2015, PetSmart will no longer sell dog and cat treats manufactured in China. This is something we’ve been working toward for some time, and feel it’s the right thing to do for pets and our customers,” Erin Gray, a PetSmart spokeswoman, told NBC News. FDA is coordinating further investigation into the problem with the U.S. Centers for Disease Control and Prevention (CDC) and is advising people who feed their dogs pet jerky treats to watch closely for any or all of the following signs which may occur hours or days after consumption of the products: decreased appetite, decreased activity, vomiting, diarrhea (sometimes bloody), increased water consumption and/or increased urination. If any or all of those are observed, people are advised to immediately stop feeding the jerky pet treats and consult a veterinarian if the signs are severe or persist for more than 24 hours. We adopted Bonnie back in December as a Christmas gift, and she is wonderful. Here is a picture of her when we first picked her up from K-9 Angels, to present-day. 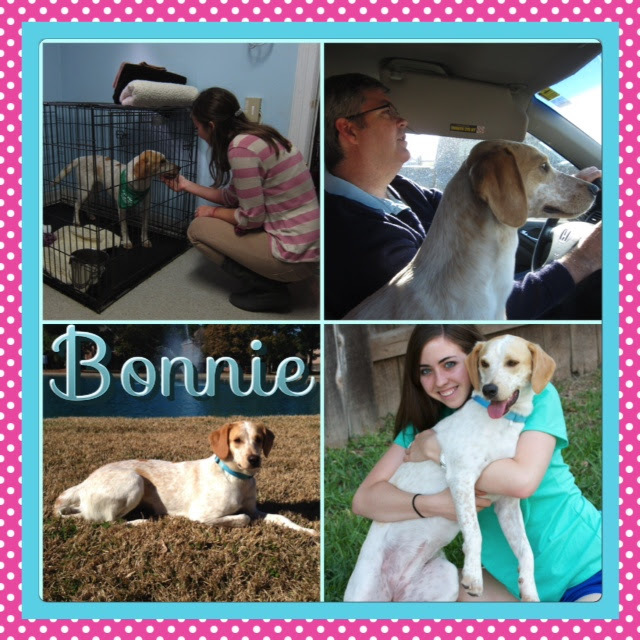 Bonnie is super affectionate; she loves to snuggle and lick people’s ears. About a year and a half old, she is still full of puppy energy and is as fast as a cheetah. I am so thankful to have been able to adopt this beauty, she is like a ray of sunshine in my life! I fostered Porkchop for just one week, but we totally fell in love. When I tried to drop him off at the adoption center on Saturday morning, he lost his mind and started crying, which made me start crying, and I adopted him on the spot! That was over 3 months ago! Now named Murphy, he spends his days snuggling with his mom, doling out an endless supply of kisses, napping (and snoring) in front of the fan, and keeping tabs on our neighbors from the balcony. 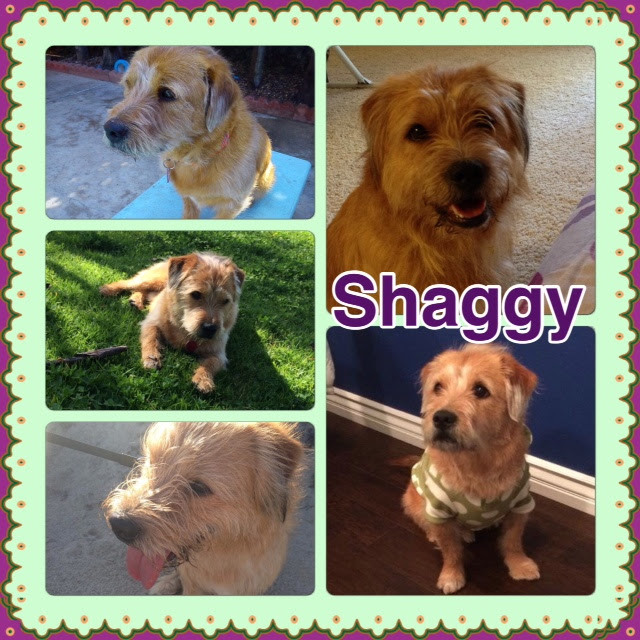 He is a social butterfly and loves going to the dog park, as well as parties, bars, and friends’ houses with his mom (where he is ALWAYS welcome because everyone loves him). He has an infectious “smile” and an underbite that can’t help but make you laugh. I am so happy that he chose me to be his mommy. 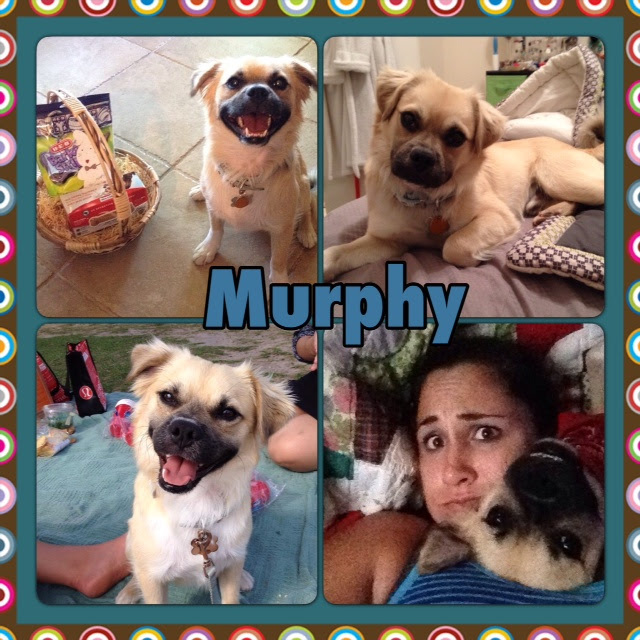 Thank you, K-9 Angels, for bringing The Murph into my life!! Hi. 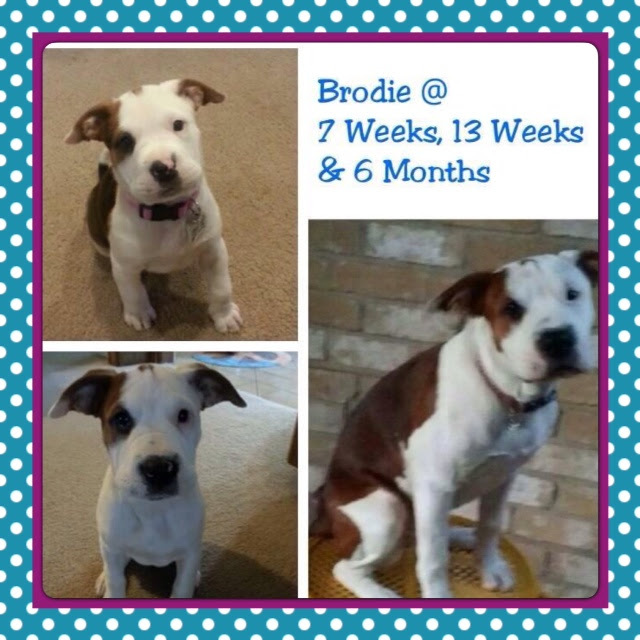 Just wanted to send you guys an update on Brodie. She’s grown to over 40 pounds and is one of the smartest dogs we’ve ever had. Thanks so much for finding and saving her! She’s been a great addition to our family! Exactly one year ago, our little house welcomed a little member. He has been the sunshine of our gloomy days, cheering us up and showing us his unconditional love. Still he’s an escape artist, but it’s a good reminder that we should spend more social time with him as this playful boy totally deserves it. Thank you K-9 Angels Rescue – Houston, TX for giving us the chance to find him. The study was conducted by researchers at the University of Edinburgh and the Anthrozoology Institute at the University of Bristol (U.K.), and involved 30 highly socialized male German Shepherds trained as police dogs. None of the dogs were on medications of any kind. This group was selected because police dogs are sometimes kenneled after their work shifts. The kennel these dogs were in had a 40-dog capacity and was equipped with a run and an enclosed rest area. The researchers shot videotape of the dogs to observe what, if any, repetitive behaviors they engaged in while in their kennels. Per the videotaped evidence, the dogs performed repetitive behaviors that included pacing back and forth; circling the perimeter of the kennel over and over; spinning; and “bouncing off the walls,” which involved jumping at a wall and rebounding from it or jumping on a spot on the wall with either all four legs or just the front legs. The dogs were also observed combining behaviors, which often occurred following certain triggers like the arrival of their human caretakers at mealtime. The vast majority of the study dogs – 93 percent – engaged in some repetitive behavior, though it was more evident in some dogs than others. The kind of obsessive, repetitive behavior the police dogs engaged in is linked in human medicine to a variety of mental health problems. Experts theorize that people who practice similar behaviors “live in a world of sensory confusion,” according to Discovery News, or are attempting to use repetitive behaviors to blunt painful stimulation. Another theory is that these types of behaviors are the result of senses that are malfunctioning. The U.K. researchers believe certain dogs may find separation from humans particularly difficult, which could explain their reaction to kenneling. Some dogs may also live in a state of chronic stress due to over-stimulated adrenal glands. However, some of the police dogs that seemed highly distressed based on their behavior did not have abnormally high levels of the stress hormone cortisol. This led the researchers to speculate that certain dogs may use repetitive behaviors as a way to cope in stressful situations. The researchers recommend that more studies be done to determine if repetitive behaviors in kenneled dogs cause them harm. So What Does This Mean for You and Your Dog? …probably not much unless your dog spends most of his day confined to a kennel. The fact is that in certain situations, kenneling is the only way to keep a dog, and perhaps others around him, safe. Some of these situations include kenneling at the vet clinic for a procedure or overnight (or longer) hospitalization; at the groomer’s; during transport; when “cage rest” is necessary and there’s no other way to restrict a dog’s movements; when a stray dog is picked up by animal control; or when a family pet is relinquished at an animal shelter. Perhaps if future studies reveal that dogs are psychologically damaged by kenneling, reputable breeders, show dog owners, trainers, and other dog-related organizations and industries will want to rethink how they manage and house the canines in their care. I predict we won’t see much in the way of revolutionary alternatives to kenneling, but it will certainly be beneficial to have scientific evidence that dogs are better off not being kenneled in situations where alternatives exist. For the record, I don’t equate crate training with kenneling. Confining a puppy or dog that hasn’t been housetrained to her own cozy crate for a few hours is very different from routinely housing a dog in a boarding kennel like the one described in the U.K. study. 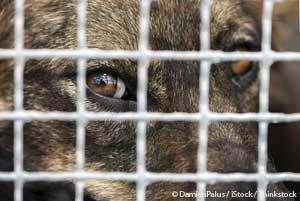 A crate-trained dog, once housebroken, should be allowed to go in and out of her crate at will. If your dog has been properly crate-trained, she’ll view the crate as her own safe and private little den.